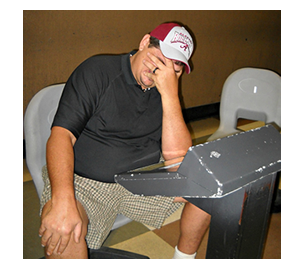 G12 – Touch interaction is manageable and preferred. Touch interaction is manageable and preferred. Touch screen interfaces have been explored in a wide range of devices. These type of interfaces allow the direct input with the interface objects and remove the need of multiple input devices such as mouse and keyboard. 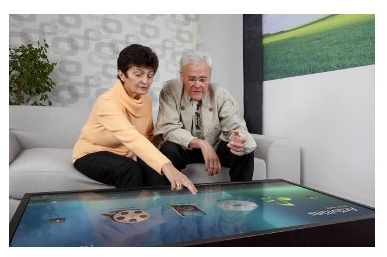 Touch screen interfaces are very apreciated by older adults. 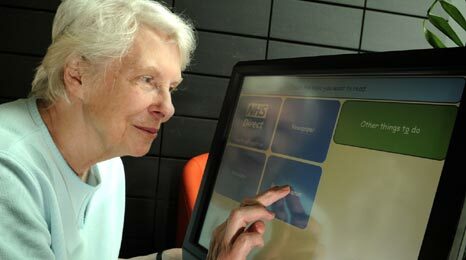 An older user exploring a multi- touch interface. 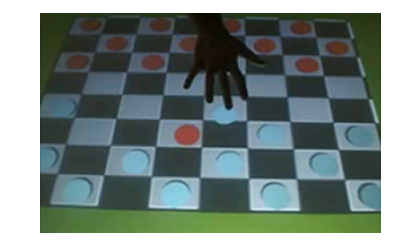 Accessibility, Easiness, Elderly, Learnability, Multi-touch. Address special aspects associated with tabletop user interfaces. The use of large display in order to enable to reach whole table easily and the use as social spaces, are some examples of special aspects that can be addressed in tabletop user interfaces. Checkers is an example of a familiar game played by older adults, in their social interaction. 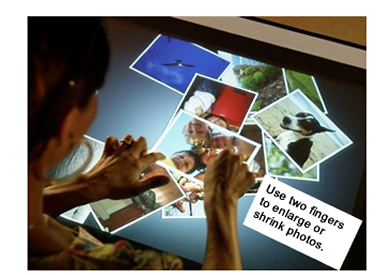 Accessibility, Adaptability, Elderly, Large-elements, Layout, Learnability, Multi-Touch. G10 – Support user in reducing clutter. Support user in reducing clutter. The use of large interface elements and reducing distraction of the current focus helps in reducing clutter. 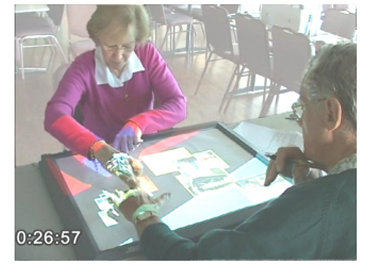 A pair of elderly users using an interface with large elements. 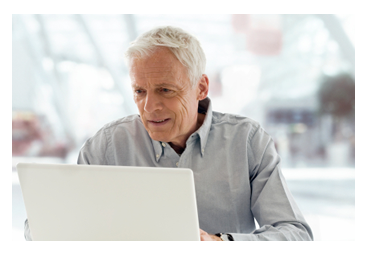 Accessibility, Adaptability, Elderly, Large-Elements, Learnability, Multi-touch, Testing.